Developer St James Group is developing plans for new housing and a public open space on a former industrial site in White City, west London. 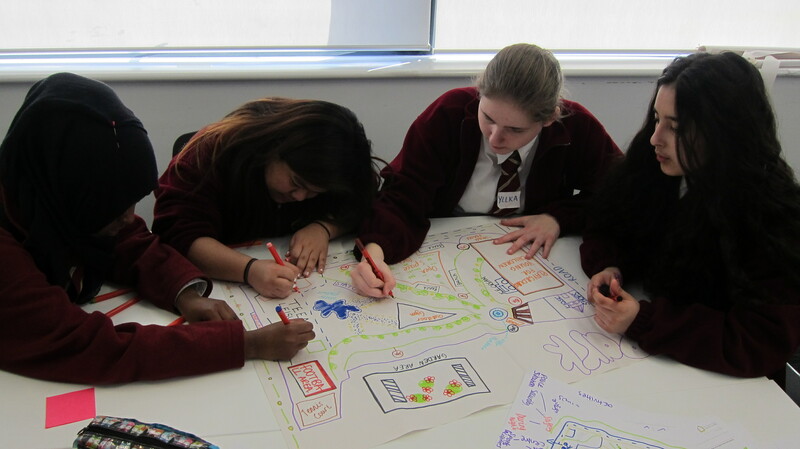 As part of their approach to investing in this neighbourhood over the long-term, The Glass-House worked with St James and local secondary school, Phoenix High School, to give local young people an opportunity to engage in design thinking and build their employability skills. We developed a programme which involved 30+ Year 10 students in a variety of activities that were run across four months in 2014. 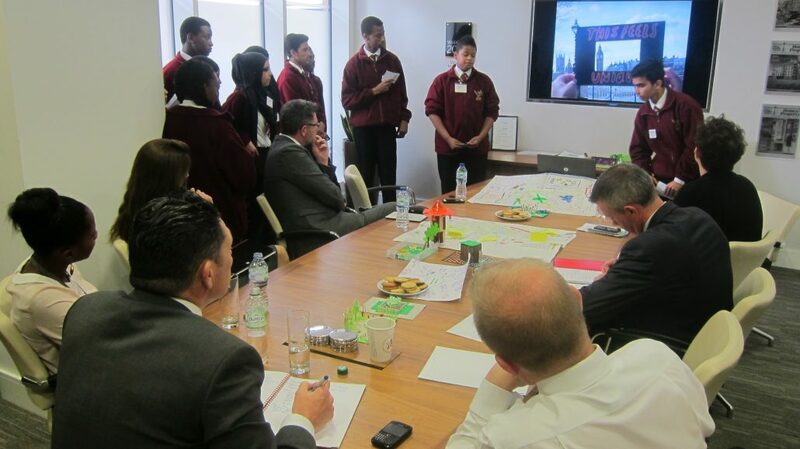 This programme was all about inspiring and empowering young people through changes to their local places. The key focus was on developing a vision for a public green space in the development of the White City site by St James. Students explored the site and the surrounding area, analysing and mapping challenges and opportunities for public open space in site visits and through workshops. 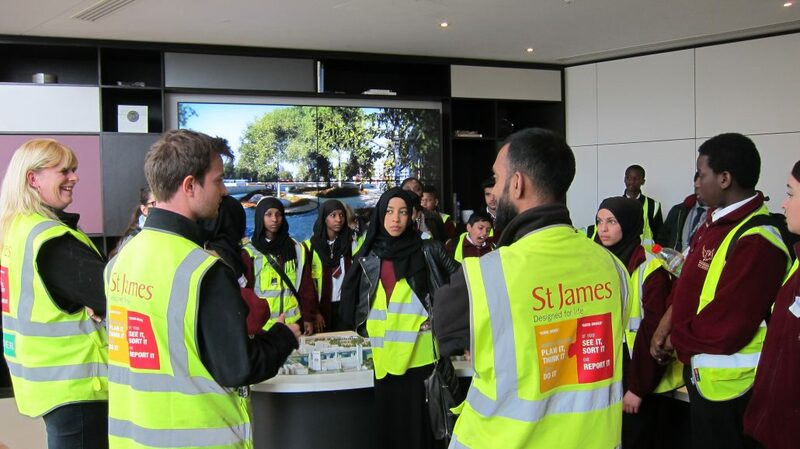 In learning about regeneration and the development process, we took the students to the construction site of a St James development where students heard from The Glass-House and St James’ employees about the range of careers in the development industry and how to access them. 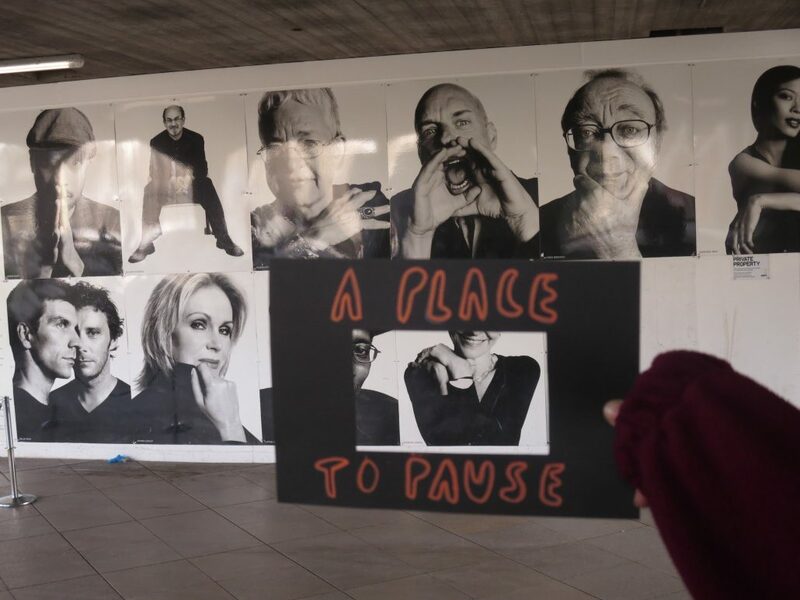 During a two-day Design Training course, supported by Glass-House Enabler, Catherine Greig, we took students on a study tour to open spaces in the Bankside and Southbank areas of central London where students discussed and captured points of interest on cameras. 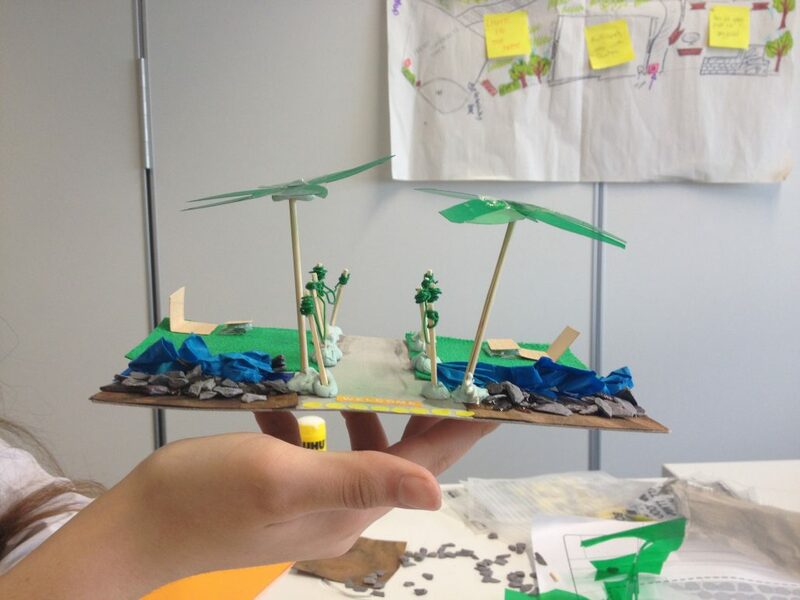 Drawing inspiration from the visit, students developed their design ideas for a new open space in White City by creating moodboards and 3D models, which they shared with the project architect at the end of the course. Following a presentation and communication skills workshop, students shared their work and learning with a gathering of local business owners and community representatives. At the culmination of the programme, the students were invited to give presentations on their experience and the work produced to the Board of Directors of St James. The programme was an unique opportunity for the students to engage with the development of their neighbourhood, and through this, to acquire design skills and knowledge, unlock their creativity and feel empowered to contribute views and ideas on local changes. The students particularly valued the opportunity to work with adults and professionals from outside the school environment. The programme helped developer St James to build important relationships and goodwill in the community, invest in the future of the area’s young people and created an opportunity for better informed design of their site. 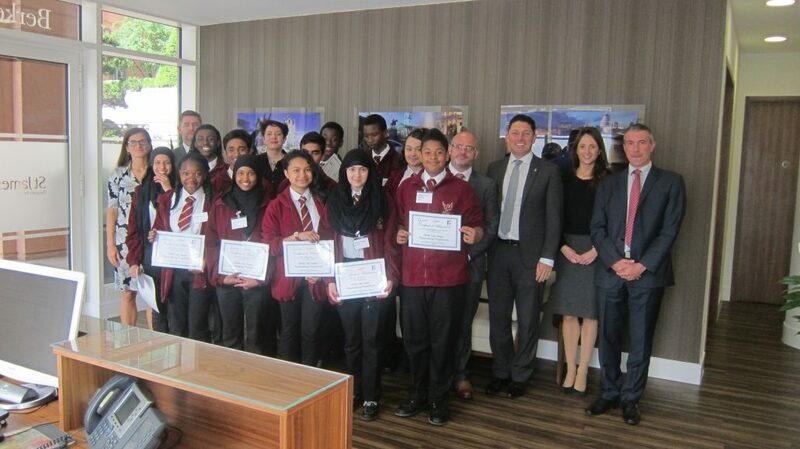 Two students who participated in the programme went on to undertake work experience with the St James Group . “My experience in the White City project was unquestionably fascinating. It has helped me improve many skills, in particular communication and confidence skills. I felt very fortunate to participate in this event because I have met many amazing people. I had so much fun in role playing the roles of people who would be involved in the development of new architectural designs on a new site. Can young people be placemakers? Are we designing young people out of public space?